In this second edition of How Many Roads? 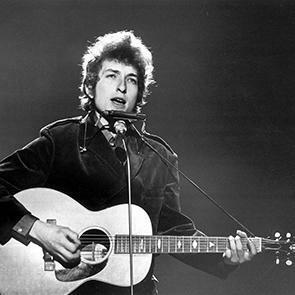 Bob Dylan's Back Pages, we'll rejoin the great American wordsmith by listening to his work from the last 25 years. We won't forget the historic and ancient roots of his modern sounds, from the Old Testament to the Civil Rights movement. We'll hear from collaborators and friends, Mavis Staples and Joan Baez, and from Kris Kristofferson who overheard Dylan's recording sessions while working as a custodian in Nashville. We'll go to our archives for the late producer Jerry Wexler on Dylan's spiritual transformation and hear songs that address outlaws and lovers, memories and mortality.